A scull is a boat used in competitive rowing; “pairs” is when there are two people in the boat and they each row with one oar; “doubles” is when each person has two oars. 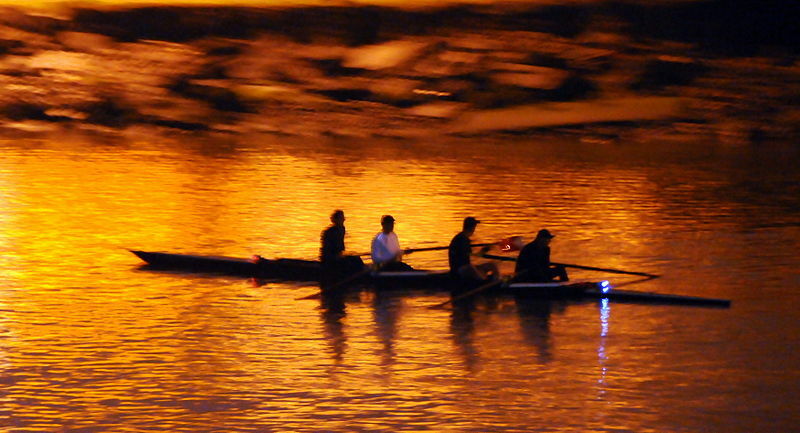 These rowing terms have musical meanings, too, and they apply to this composition. The pair of instruments are involved in many kinds of doubling, playing the same notes in different registers, and the musical entities they double are rows—twelve at a time. The character of the piece is more playful than competitive, due—I think—to skullduggeries in the way the rhythms relate to pitch. In any case, the piece was a lot of fun to write (in the summer of 2013) for my musical friends, Alison Lowell and David Plylar.